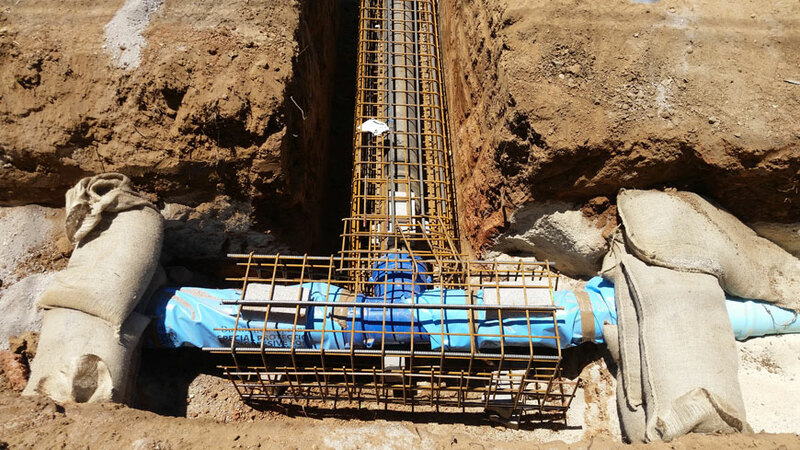 Jonishan are experts in Potable & Recycled Water Reticulation and Water Trunk Main projects. 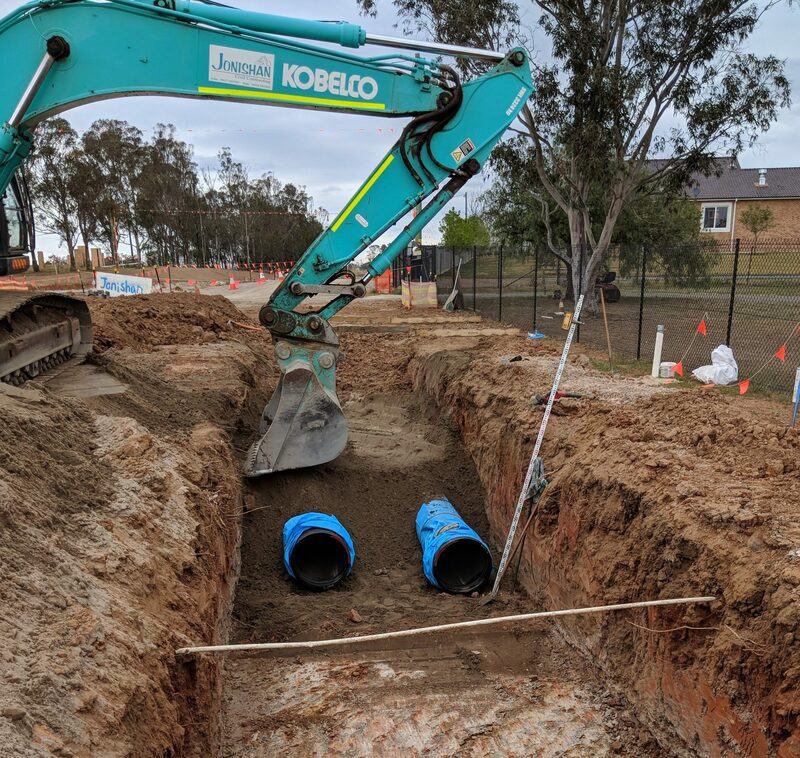 We have successfully installed watermains, potable and recycled water pipelines throughout Sydney & surrounds in all types of ground conditions. Pipes used range from DN 65-1200 and are made from PVC, MSCL, DICL, GRP, Polyethylene and welded ‘sintakote’ steel. The complex system of pipelines managed by Sydney Water requires qualified and accredited pipe layers for installation. Jonishan’s Sydney Water accreditation allow us to provide services for W1, W2, W3 (Water Supply DN 100 – 1200), RW (Recycled Water DN 65 – 375) & Drilling (Water Services Connection). 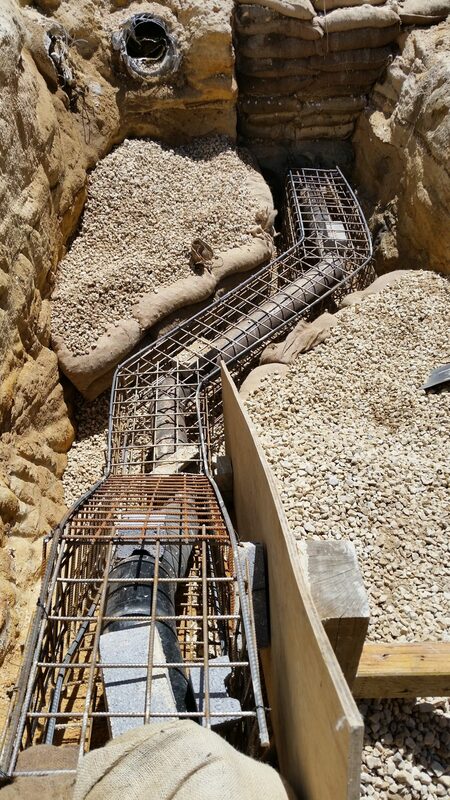 Jonishan uses open trenching methods where plausible and trenchless methods such as microtunnelling and thrust boring where obstacles are present. Jonishan has the resources and expertise to install water pipelines for any purpose including renewals, adjustments, extensions and diversions for new subdivisions and road upgrades. 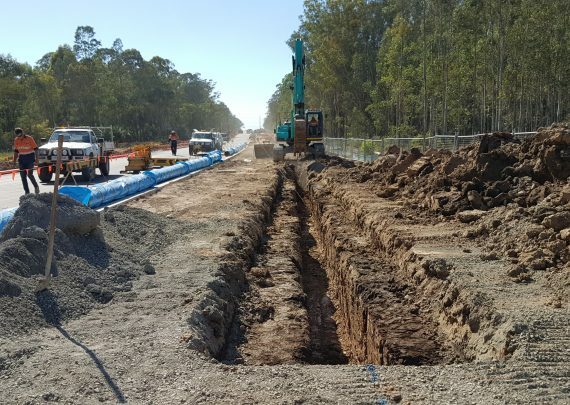 Excavation and laying of water pipelines is performed with speed and accuracy, meeting WSAA Codes and Sydney Water Standards.